So, I'm glad to see you stop by when you do. I've got several non-review blog posts written (in my head). I'll try to get them posted soon. I promise I'll make them as controversial as possible. Or maybe just add naked people. Or something. Be sure to check out the giveaway below the review and the other Bookanista reviews. P.S. As always, thank you. Summary: Under the bubbling hot springs and geysers of Yellowstone National Park is a supervolcano. Most people don't know it's there. The caldera is so large that it can only be seen from a plane or satellite. It just could be overdue for an eruption, which would change the landscape and climate of our planet. I've read a lot of post-apocalyptic-y stories lately, so I went into ASHFALL wondering how it might be different from all the rest. And here's what I concluded: Holy crap. ASHFALL is somehow one part terrifying and one part hope. And really, it's that hope that sets it apart. For starters. Okay, so for the terrifying--as far as world-altering catastrophes go, this story is totally possible. We're not talking an outbreak of a disease that will eventually run its course after killing off a large sector of the population (or a disease that turns people in crazed, cannibalistic zombies), or cyborgs that take over the world, or some mind-altering drug that heightens the intelligence of apes and turns them against humans. While all these make for super cool stories, there's always the knowledge that these scenarios aren't that possible (or if they are, they're likely not permanent). But a supervolcano eruption? In our lifetime? Totally feasible and totally world changing. It's this knowledge that underscores every page. There's also the genuine way in which the story is told. Thought it's not present in an in-your-face sort of way, I can imagine serious research went into the writing of ASHFALL. Science and psychology play a large role, from the way in which the eruption affects the landscape to the ingenious McGyver-y methods employed by characters for overcoming hurdles, as well as the human reactions to catastrophe. Alex, the mc, faces some really dark times in this, as you might imagine when food and supplies are scarce. This story is a fresh, realistic depiction of what happens when governments collapse and survival is threatened. Alex faces danger far beyond starvation, and is forced to mature very quickly. But there's hope, too, and this is what I found particularly refreshing about this story. While some truly horrendous things do happen, we also see some of the best sides of human nature. See, catastrophe doesn't bring out ONLY the worst in people. I'm so happy to see a book illustrate how amazing humans can be in the face of tragedy and despair. And in the midst of it all, there's love, too. A bit of romance, but from a male POV, which is awesome. And he's not some hunky stud of a male either, but a geeky 15-16 year old in the height of adolescent splendor (*cough*). This too is treated genuinely, so, yah, there's some awkwardness and blushing. Great fun, I tell you. ASHFALL is at times quite grim, packed with heart pounding action, but there's humor too and moments of respite. It's a book you won't be able to put down. This giveaway is international and ends Monday, October 3, midnight EST. You must be 13 years old to enter. If you win, you will need to provide an address for shipment. Under 18's must have parent/guardian permission to enter. Congratulations on your win! Please email me an address to which I can ship your book. Huge thank you to all who entered! If you haven't done so yet, be sure to enter to win Signed Jay Asher books (an ARC of THE FUTURE OF US and THIRTEEN REASONS WHY). I am a new follower, so glad I found this blog! I can so relate to being too busy. Don't apologize for reviewing books all the time. You are promoting the authors and their books, a great service. I really want to read ASHFALL and I bet my daughter will want to too. I must read this - love male mcs, love post-apocalyptic...count me in! And wow! A medical mission! How awesome! My mom goes on a dental mission to Honduras every year - would love to do one myself one day. PS - don't feel bad for being busy and taking care of yourself and your family. Priorities, yo. Besides, I always enjoy your reviews and giveaways! Wow, you have such epic giveaways!! Thanks for doing them, even though you are so busy. Good luck with your fundraising/preparation plans for Haiti! These all sound wonderful. I've had my eye on Tis and Izzie too! Thanks for the giveaway. And you are amazing. Wow! Haiti! Your heart is so big, Carol! Good luck with all that you are juggling! Ashfall sounds great. I love scary-omg-could- really-happen-in-real-life kind of stories. I just discovered your blog. What a great giveaway - thanks for the opportunity! Not only does this book sound great, but Mike is a super nice guy! I'm hoping to make it to his release party in a few weeks to support him! You've always got the best giveaways. Thanks so much! I know I've said this before, but there are no reviews I'd rather read than yours. Great review--the book's premise kind of reminds me of Life As We Knew It--in that what befalls earth to destruction seems like something that could happen. I'll be on the lookout for Ashfall definitely. I haven't really read anything from a guy's point of view (solely), this sounds interesting! Thanks for the review and for the giveaway! I must read Ashfall! I got chills reading the blurb! The others look great too, but that one really drew me. Great review and honestly dont worry! Your family comes first and all the best for the mission. They sound very interesting, thanks for the giveaway ! Thank you for the great giveaway. I have heard great things about Ashfall. SERIOUSLY WHY HAS NO ONE EVER INFORMED ME OF THIS BLOG EVER??!!?? Okay now that's out the way! Thanks for the giveaway! Its really nice! Let me know what I can donate for your mission trip. I know, I know, I owe you an email...you know I love love love you and am just super duper busy. You understand, I know. I adored Ashfall, (as I knew I would after talking to Mike about all the research he did), and even my husband read and loved it. He so rarely reads anything I was happy he enjoyed my recommendation. What a great selection of books in your giveaway. I'm looking forward to Ashfall. I wish you the best in your goals, writing-, family- and charity-wise. Ashfall is one of the BEST debuts I've read this year and it's complete torture the fact that we'll have to wait another year to get more of the awesomeness of Mike's writing! Ashfall sounds Epic! I love post-apocalypic fiction. The realism is astounding. Plus, I've always wondered what would happen if the super volcano blew. Great review Love your blog. My blog has been having days of Ashfall madness hehe. i was lucky enough to read Ebook of ashfall but i would love a real copy. you have some really good titles here and I would love to read any of those!!! !Thanks a lot for the reviews and the giveawys! Thanks for the review! I have my eye on Ashfall, and I'm waiting for its Kindle release! OMG! Ashfall!! I heard some awesome reviews about this book! Plus the other titles look really really good! Thank you so much for the giveaway! Thanks to this awesome Giveaways! 4 ARC's !woot!woot!! !goodluck everyone! Ashfall sounds amazing--I'll be looking out for that one! Oh My Gosh! This is an amazing pile of books. I have been wanting to read all of these. Wow! Ashfall sounds awesome, can't wait to read it! Thanks a lot for the giveaway! When I first heard about the volcano at Yellowstone, I had nightmares for a week. Ashfall sounds amazing, but I'm a bit afraid to read it! Thanks for another generous giveaway. I am really glad you enjoyed Ashfall because it is one I have been wanting to pick up this book for a while now. "See, catastrophe doesn't bring out ONLY the worst in people. I'm so happy to see a book illustrate how amazing humans can be in the face of tragedy and despair." I haven't read this one but ditto. Yes, bad things will bring out the worst in people but there are definitely people out there who will do everything in their power to help out. I'd like to think there are more people that will fall into the latter category. Sweet! I can't wait to read.......well, i can't wait to read all of them. From the review, I kinda don't think i might understand Ashfall with all the science and psychology stuff, but i'll still read it. Its a great set of books you are offering! And thanks, as usual, for opening it to International entries. I wasn't sure about this book before but after reading your review I have to read it! Thank you for the awesome giveaway! I was curious about Ashfall and now I am chomping at the bit to read it. Thank you for sharing today and for the awesome giveaway opportunity. Fabulous giveaway thank you. A great list of books. ASHFALL I particularly want to read. Wow, Carol, I admire you for taking a missions trip to Haiti. Not that I'm surprised since you're, like, The Nicest Person on Earth, but still. This is awesome, keeping my fingers crossed! Thanks for the lovely giveaway. I have been drawn to a number of post apocalyptic titles in recent months including the likes of The Road, the novelization of The Book Of Eli and I even took another look at the novelization of Mad Max - Beyond Thunderdome which is a surprisingly good read actually. This title certainly appears to tick all the boxes and I'm going to add it to the pile. Cee - I am so very thrilled for you undertaking this trip to Haiti and I have to admit to being a little envious. After the 2004 Tsunami in Indonesia - they were looking for volunteers to go to the relief zones there and I so wanted to go but things just didn't pan out and I missed the opportunity. I am sure that you will experience something really special on this trip and I hope it is a great success for you. This is a great giveaway. I enjoyed your review of Ashfall, it greatly increases my desire to read this book. Oooh, Ashfall sounds FANTASTIC!! And the book giveaway sounds even better! Lol. 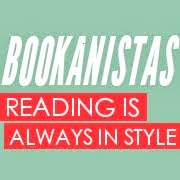 I am a new follower and discovered your blog by following a link from another Bookanista's blog. Did I mention how great the book givaeaway sounds? I think I definitely plan on reading Ashfall,(when it comes out, I guess), anyway. I'm most excited for Ashfall! Thanks for the giveaway! Wow Ashfall looks like an amazing book! And thanks for the epic giveaway! Posted under Great Giveaways tab on my blog mentioned above. I'm so intrigued by ASHFALL... can't wait to read it. Thanks a great review and another fabulous giveaway!